Silver Touch is a leading and globally accepted IT Solution Provider and currently at the forefront of Digital Transformation & Emerging Technologies to serve the customers across the world. AwardsSilver Touch is always in a lookout for best talent in the market. Silver Touch from the day of its establishment in 1995, is endowing clients, enterprises with its innovative IT Solutions. 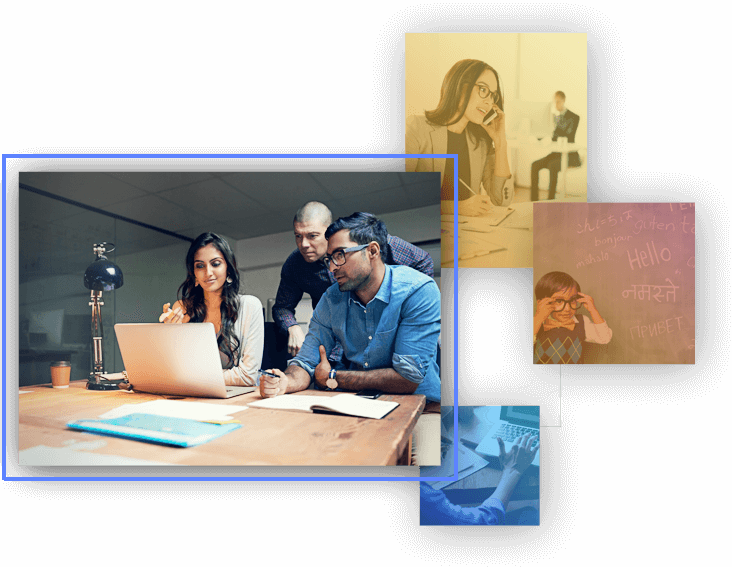 Our team of experts from all walks of applied sciences and work together to deliver super-smart organizational intelligence. We firmly believe in integrating our skills with our client’s needs and we achieve the right results. We have developed our own performance measurement systems that support our clients through the process of software developing process. As we have witnessed the evolution of technology, from Generation X to Generation Y and this helps us to get a better foresight of our future possibilities as well. Our vision lies in our approach of innovating technology and enriching it with a user-friendly experience. We are nourishing our skills with the adoption of emerging technologies, digital transformation and self-exploration by handling all kinds of operations cross borders all over the globe. We work to give you the lead in your competition and take you at the top of it. The solutions we provide cover top to bottom technical needs including IT Consulting, System Integration Services, Software Development, E-Governance Solutions, Mobility Solutions etc. and making everything possible for you with cybernetics. We are expert in custom enterprise work processing while turning everything in the digital matrix and cyber matrix. Running parallel with the technology trends; our experts are also adopting new technical innovation to deliver you tomorrow’s change today. OUR ADROIT SERVICES PRIORITIZE YOUR BUSINESS GROWTH. Tech solutions for Industries to improve the way they operate. Every industry has a special needs and all those special needs ask for a special solution. At Silver Touch we offer solutions that are especially built to aid special characteristics of that specific industry. Our frequent programs of social activities are promoting cooperation and social upliftment of the society. 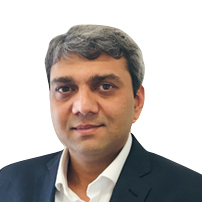 Mr. Vipul Thakkar is the Chairman & Managing Director of Silver Touch Technologies Ltd. 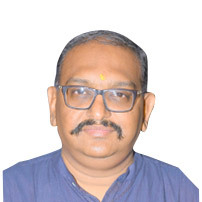 He holds a Bachelor’s Degree in Computer Engineering with a Masters in Business Administration and has over 22 years of experience in E-governance and Software Solutions. He has started his career with a leading IT company and soon decided to start his own venture. He founded Silver Touch in 1995 with likeminded friend, Mr. Jignesh Patel for deliverance in IT Solutions and Services and was joined later on by Mr. Minesh Doshi and Mr. Palak Shah. He is a keen observer of technology results and a firm believer in the potential around him. He has developed a remarkable foresightedness with regard to new developments in technology which has helped him to bring the company to its current level of performance and scale. Mr. Thakkar is a true technology leader and always encourages young talent. Due to his sheer dedication and devotion, Silver Touch has grown by leaps and bounds. 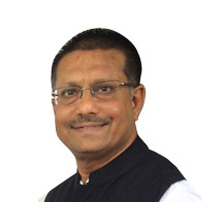 Mr. Thakkar has overall experience of 22 years in E-Governance and Software solutions and Networking. He is currently looking after Finance & Administration of the Company. The success of a visionary can only be realized through well managed operations, and that’s exactly what Jignesh Patel brings to Silver Touch. He is Diploma in electronics engineering. He started his career at HCL Ltd. and then joined with other founding directors of Silver Touch to create the venture from the formative stage. From a humble beginning of hardware and software sales, today Silver Touch has reached its present mature stature due to Mr. Patel’s efforts and hard work with large clients, always seeking to understand their requirements and creating optimal solutions. Mr. Patel specializes in designing and implementing large networks including LAN and WAN. His passion is to grow big by maintaining the highest possible quality, which has made Silver Touch a premium Business Partner of IBM, CISCO, Microsoft, Oracle and SAP. 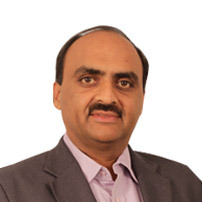 Mr. Jignesh Patel has overall experience of 22 years in IT infrastructure sales & service. Mr. Minesh Doshi is a qualified Computer Engineer and a technology professional with profound experience in process and quality management, software engineering, project and operations management and human resources management. He started his career with INFLIBNET, a Government of India undertaking. He has acquired expertise in driving quality management initiatives and in implementation of quality principles and process standards. A keen planner and strategist, Mr. Doshi has demonstrated initiative and leadership in driving organizations on the technology and engineering front with an intensive focus on total quality management. His core competency lies in business development, and he has initiated new business units in software/ITeS projects, bringing to bear his vast experience in contract management, building complex business deals, costing and presales. Working closely with the Government of Gujarat’s e-Governance drive, he has successfully implemented many software modules including complete automation of 18 Municipal Councils, Technical Examination Board, Labour & Employment, and Government Printing & Stationary etc. 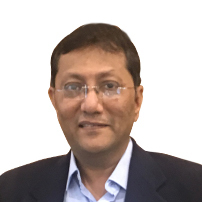 Mr. Doshi has overall experience of 21 years in experience in process and quality management, software engineering, project and operations management and human resources management. He is currently looking after Business development and Human resource department. Mr. Himanshu Jain has over 24 years of experience in Information Technology. He has worked on Apple, IBM, Novell Server Platforms and also has experience with several software platforms. He specializes in service delivery and implementing turnkey solutions across India. He has successfully setup operations from scratch in many states of India. He is firm believer in excellence and potential of his teams and never compromises on quality delivery to his customers. Speed, innovations, creativity, and bonding are his mantras to achieve success in any project. His domain of expertise includes Hardware & Software-ERP, E-Governance, E-Commerce, Mobility, and Technical Resourcing to name a few. Mr. Vijaykumar Shah heads the SAP team of the Company. He holds a Masters in Computer Application and a Bachelors of Science in Physics. He has over 29 years of multi-domain experience in IT with specialization in SAP software. He has gained experience in SAP based projects, new implementations, enhancements and integration with collaborative process systems for business subsidiaries, customers and suppliers while having worked with several top notch organizations during his career. He was the Chairman of Computer Society of India – Ahmedabad Chapter for the year 2015-16. 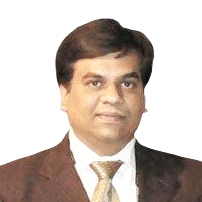 Mr. Ronak Shah aged 43 years, is an Independent Director on our Board. 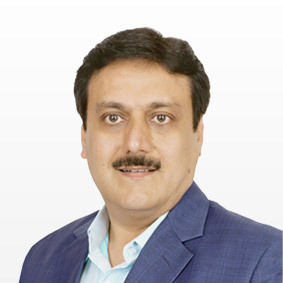 He holds a Bachelor’s Degree in Commerce, Bachelor’s Degree in Law from the Gujarat University and a Postgraduate Diploma in Management from Nirma University with specialisation in Finance. He is also a fellow member of the Institute of Company Secretaries of India, New Delhi. He is also serving on the Board of Sunflower Overseas Pvt. Ltd., Ahmedabad. 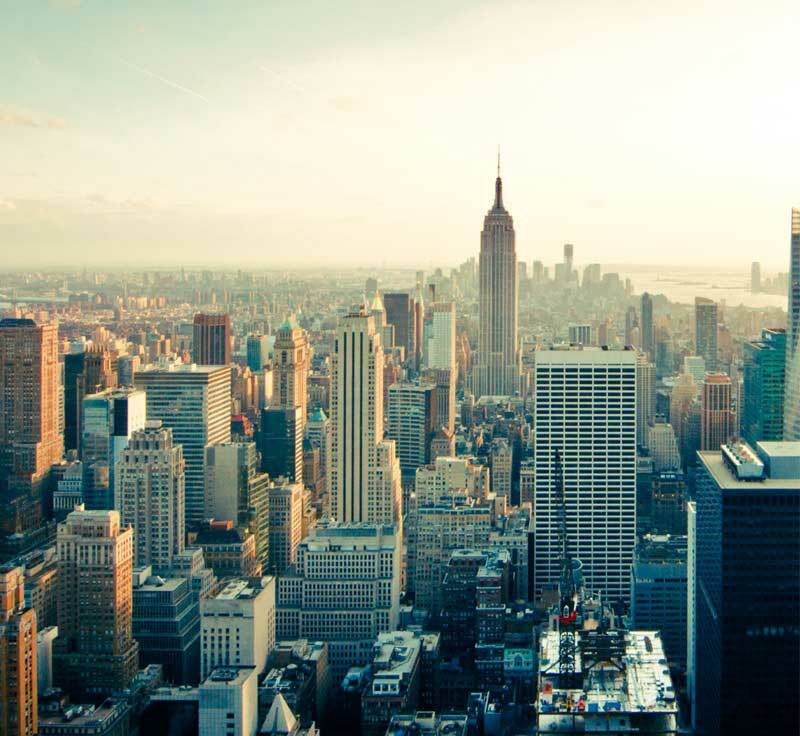 In a career spanning over 17 years, he has acquired significant experience in the Law, Finance and International Trade. 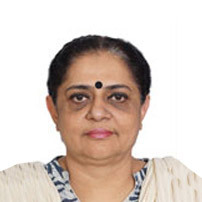 Dr. Gayatri Doctor is a highly qualified professional who holds a Ph.D. in Philosophy; has done Masters of Computer Applications and has a Bachelors of Science with Mathematics (Honours), Physics and Computer Science to her credit. Having started her career in the corporate world, she is currently an academician and teaches a variety of subjects concerning the field of Information Technology and Management. She has authored and edited books and has published in renowned International Journals in the field of Knowledge Management and IT. Her current areas of expertise include Smart City Technologies, Internet of Things, e-governance, Digital Repositories and Enterprise Resource Systems. 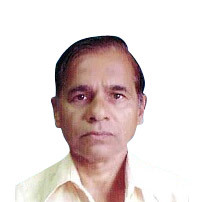 Mr. Harivadan Thaker is an Independent Director of our Company and the senior most member on the Board. He currently has a business of trading and manufacturing of surgical medical devices through his partnership firm – Cash Pharma. Prior to which he has had 20 years of experience of Finance, Accounts, and Taxation – Legal matters. 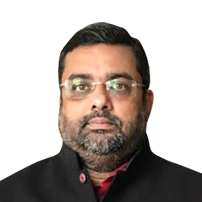 Mr. Kunjan Jasani – Director – Silver Touch Technologies (UK) Ltd.
Mr. Kunjan Jasani heads the UK Business within Silver Touch. He holds a Master’s degree in Business Administration from MSU and is an experienced business leader with a track record of delivering transformation and revenue growth. He has held numerous senior consultant and business management roles with major vendors like IBM. With 15 years of management and hands on experience of implementation and analytical experience to draw from, he continues to play a vital role in establishing clients’ requirements, sourcing the best solution and ensure 100% customer satisfaction. As a director, his strategic focus is to continue to grow our customer base in the UK as well as developing and enhancing Silver Touch’s UK team.